“When I finish writing the statement, that cat will move,” promises Deshaunte’ Goldsmith, a sixth-grader at Digital Pioneers Academy Public Charter School. She presses enter on the keyboard and, sure enough, the animated cat on her screen begins to pace back and forth. Goldsmith is a member of the founding class at the school known as DPA, Washington, D.C.’s first computer science-focused middle school. Opened in August, the school is small, serving about 120 sixth-grade students across four classes, but has plans to build out to 12th grade. Every day, students take computer science as a part of their core curriculum. Today, in computer science, Goldsmith is learning how to write conditional statements — such as if the space bar is pressed, the cat will jump — using MIT’s animation-based platform Scratch. First, the students have to identify conditional statements, and then they have to write their own. At the end of class, they have to find and correct the error intentionally planted in the teacher’s code. DPA occupies the second floor of Washington Heights Baptist Church in the Hillcrest neighborhood of the city’s seventh ward. 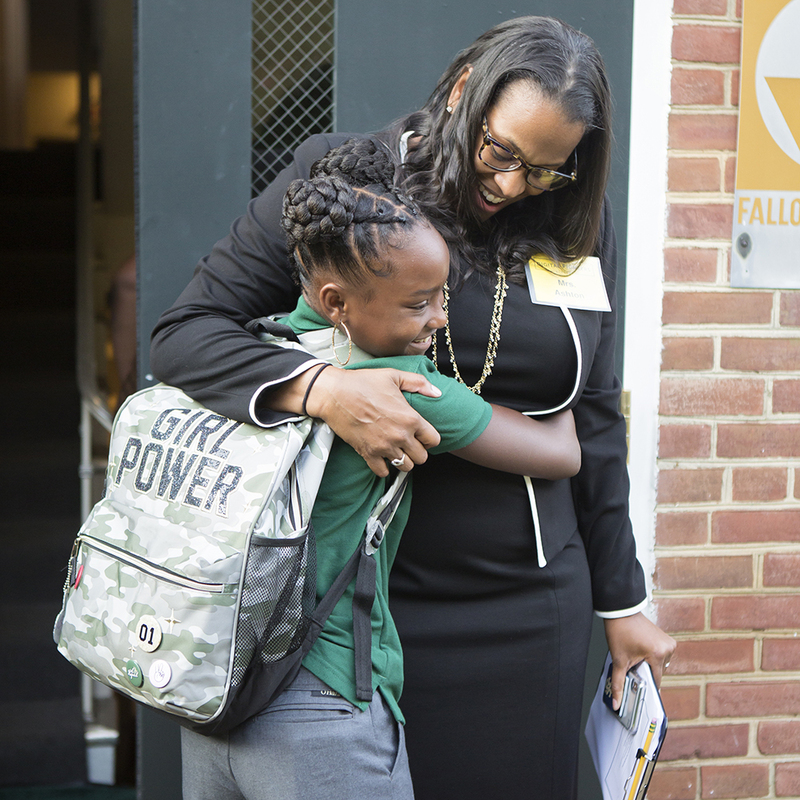 Ninety-eight percent of the students come from wards seven and eight, D.C.’s poorest neighborhoods, and, because DPA’s leadership recruited heavily in the local area, two-thirds of the students went to the neighborhood elementary schools. Lamontae Allen, Goldsmith’s classmate, or teammate as they are known at DPA, also loves the computer science curriculum. Today, only 40 percent of America’s K-12 schools teach computer programming, and computer science-focused schools like DPA that do not require admissions tests or screen their applicants are rare. Low-income families often lack access to technology, and the racial achievement gap in the tech industry is well documented. Less than 3 percent of Google’s workforce is African American. With almost 20 years of experience teaching in and running public charter schools, Ashton knew she wanted to leverage her experience as an educational leader to positively impact Southeast Washington, D.C. — a historically underserved neighborhood she cares deeply about. Ashton began her career as a special education teacher just down the street from DPA’s current location, and her husband, a sixth-generation Washingtonian, grew up in the neighborhood. Although DPA currently holds a charter only for a middle school, Ashton plans to apply to expand the school through high school, building up one grade at a time. During high school, students will be expected to pass the Advanced Placement computer science exam in 10th grade, she said, and become fluent in two coding languages by the time they graduate. Juniors and seniors will also participate in internships and work-study programs that allow them to gain real-world experience in the tech sector. 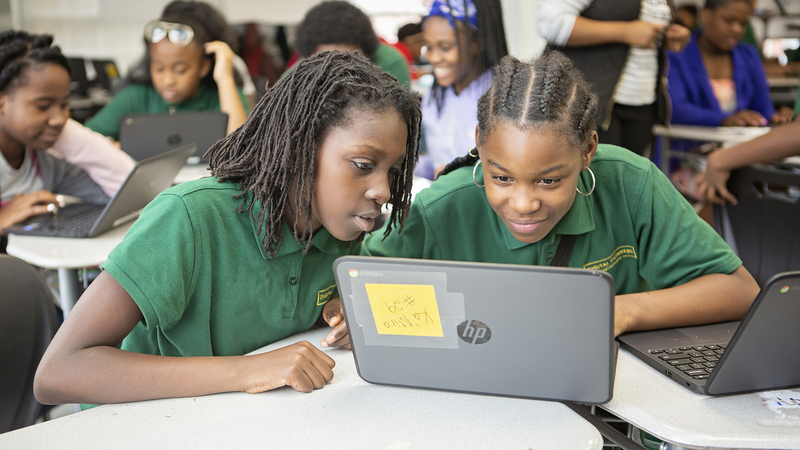 DPA is already building a pipeline of partnerships with tech firms, like Microsoft and Deloitte, and three times a year, middle schoolers will have “expeditions,” three-day experiences where they demonstrate some of the coding skills they’ve learned to tech experts before visiting the experts’ workplaces. When designing DPA, Ashton and her team researched broadly to learn about the best models for a computer science-focused school. In the spring of 2017, Ashton taught an elective, “Design the Academy of the Future,” to ninth-graders at Washington Leadership Academy Public Charter School, a technology-focused high school in D.C. She heard from students about the factors of their education that have had the greatest impact on their motivation and learning. Understanding the real-world application of the skills they were learning ranked at the top of the list. Ashton also spoke with the leaders of the Academy for Software Engineering, a computer science-focused school in New York City. The school’s leaders said they had initially recruited tech experts to serve as the teachers, but they ultimately discovered that they needed people who were experts in instructional delivery, classroom management, and working with teenagers. The RePublic curriculum, however, is not expert-dependent, so Ashton could recruit widely for her teaching staff. Bryant, the STEM teacher, came to DPA because she felt that in urban education, science often isn’t considered as important by school administrations as math and English, the major testing subjects. She wanted to move to a place that celebrated science and computer science, rather than treating it as an elective. At DPA, she was given the opportunity to build a STEM program. “A lot of people warned me about joining a founding team. ‘It’s a lot of work,’ they kept saying, but I think it’s going to be rewarding to look back and see all of the computer scientists that our school has produced and know I helped create that,” she says. DPA’s classrooms have arched attic ceilings and an airy, homey feel. The school renovated the second floor of the building before moving in, creating four large classrooms and some smaller meeting rooms. Backpacks are hung along the classroom walls, and there are comfortable sitting areas for students in addition to more traditional desks. To minimize transition times, students don’t switch classrooms; instead, the teachers do. Each class always has two adults, the classroom teacher and an assistant, who is often a dean or another member of the administrative team. The school day runs from 7:30 a.m. to 5 p.m., except on Wednesdays, which are half-days. Students have study hall, math, computer science, social studies or science, an intervention period for struggling students, two classes of English Language Arts, and recess, daily. There’s a break in the morning and a second one in the afternoon. There’s also an a.m. and p.m. community meeting and a mandatory enrichment activity — like kickball, dance, creating holiday cards, and more — from 4 to 5 p.m. It’s a long day, but many of the students come in significantly behind grade level, so there’s a lot of work to be done. When the school year began, only 20 percent of the founding class was on grade level in both reading and math. “We tell our scholars that if they want to achieve, then they have to outwork everyone, and they’re learning and beginning to own that,” says Ashton. Classmates give each other “snaps,” impromptu snapping, to celebrate when a teammate does something well. There’s also a school-wide hand sign for “giving magic,” which is wiggling fingers at a teammate to send good them vibes. “We are team, so we want to support one another, but we don’t have a lot of spare time. Our silent celebrations give students a lot of joy, but they aren’t disruptive to learning,” says Ashton. Students can also earn a “professional” point each class period if they demonstrate behavior, like optimism, empathy, and growth, that reflects the school’s values. Professional behavior earns a point; unprofessional behavior, like talking back to a teacher or putting your head down in class, loses a point; and neutral behavior results in no change. Students can redeem themselves throughout the period; it’s what they’ve done by the end of class that matters. The system promotes the idea that students have control over, and can change, their behavior. Every morning students fill out their daily behavior goals for each period, and every afternoon they reflect on whether they met those goals. If a student has a “community violation” — swearing at a teacher, starting a fight, etc. — then they receive an automatic “unprofessional” and are removed to the “reset room” for the remainder of the period. There, they fill out a reflection on their behavior and brainstorm how to make amends to the teacher and the community before returning to their next class. Students can spend professional points at the school store. They can purchase dress-down days, Subway cards, a chance to visit friends in another class during break, and more. However, the four students who have the most professional points at the end of the week get a pass to “The Lab,” where video games, a movie projector, a basketball hoop, and more await. Staff asked the students what they wanted prior to stocking The Lab.